The Radiology Residency Program consists of four years of training after the PGY-1 level. Residents are expected to have completed at least one postgraduate year of residency prior to the radiology residency. The department oversees 24 residents (recent ACGME approval for six in each class). Spots are sometimes available for MD/DO (PGY-1 and up) candidates in an upcoming first year class. Please check with the program coordinator (details below) to find out if non-medical students are currently being recruited. Applicants already participating in a postgraduate program or in private practice are not selected through the NRMP. Applications should be sent through the Electronic Residency Application Service (ERAS). 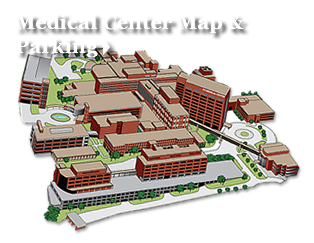 Our residency program is listed as "University of Tennessee Medical Center at Knoxville" and our program ID is: 4204721236. For more information on applying through ERAS, contact the Association of American Medical Colleges or call the ERAS Helpline (202-828-0413). MD/DO interviews are scheduled throughout the year as applications are submitted. Upon receipt of application materials, individuals will be notified whether they are selected for interviews. Individuals will be notified of any omission in an application file. If you have questions, please do not hesitate to contact the Radiology Residency Program Coordinator, Deborah Jarvis.